Oyster Stout – Would You Put Oysters in Beer? 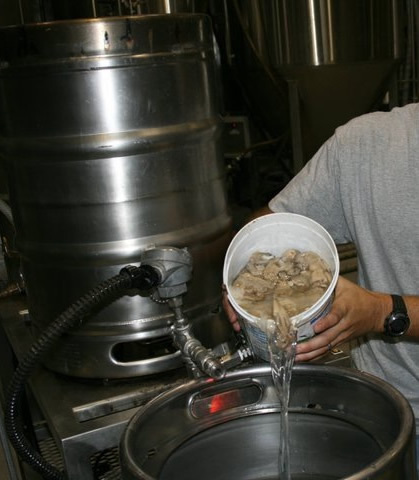 It is a dry stout beer with oysters added to the boil cycle for extra protein, which increases head retention. May have a very slight metallic or briny flavor note. The oysters were eventually over-harvested, and as light lager and pilsner beers became popular, the oysters took an even harder dive. Prior to my craft beer discovery, I’ve had beer and oysters together, as have many other people. But, not IN the beer. hmm. 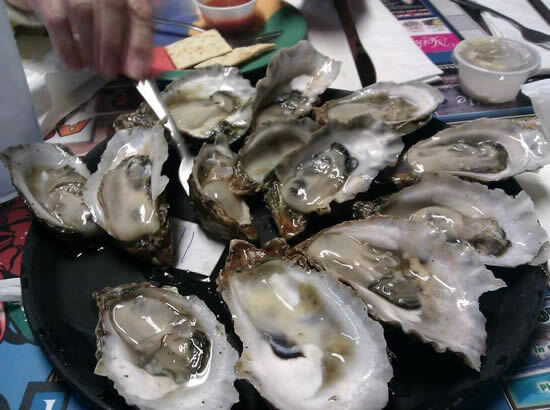 It depends on how it’s done, and how many oysters are used. Some brewers use only a couple of oysters per barrel of beer. That’s only of one or two oysters for 31 gallons. Not exactly overkill. Sorry Mr. Oyster. I’m sure you consider it overkill. Others may use a bushel or more per batch. It depends on the size of the brew recipe and the desired results. I think that the desired result is a great-tasting beer. So each Brewmaster uses her or his own “secret” technique and recipe. 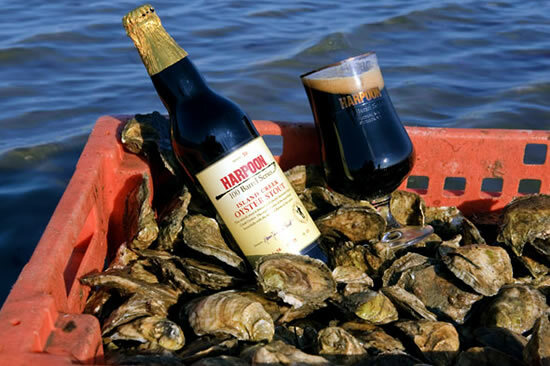 Most breweries that make Oyster Stout either boil them until the oysters mostly dissolve, or remove them before fermentation. When they open in the boil, their juice is added, too. And can you believe that some Brewmasters also add the shells to the mix? The taste is described as a stout with some slight mineral and briny notes added – “just a faint echo of the sea in a brew,” is my description. For when boiled, they release a slight essence of minerals (zinc and iron) and a subtle hint of brine, and add a velvety mouth feel. At least, that is what some tasters say. Others are unsure that they can tell a difference, but I suppose it sure is cool to say that they had oyster stout. 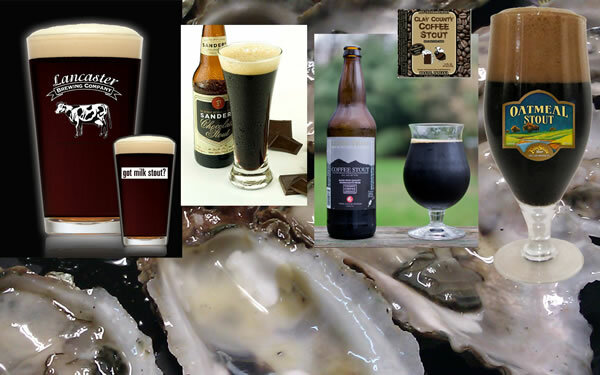 Now if you’re interested in trying some oysters in your beer, look for Oyster Stout near you. Just watch out for the shells. Enjoy Oyster Stout. To get your own Black Bucket Brew e-Zine – Subscribe Now for your free emailed copy!